An anti-wrinkle in time. 24K face lift. Face your elevens, furrows and crow's feet head on with this targeted treatment that blurs deep wrinkles, even the hard-to-erase vertical ones, in an instant. 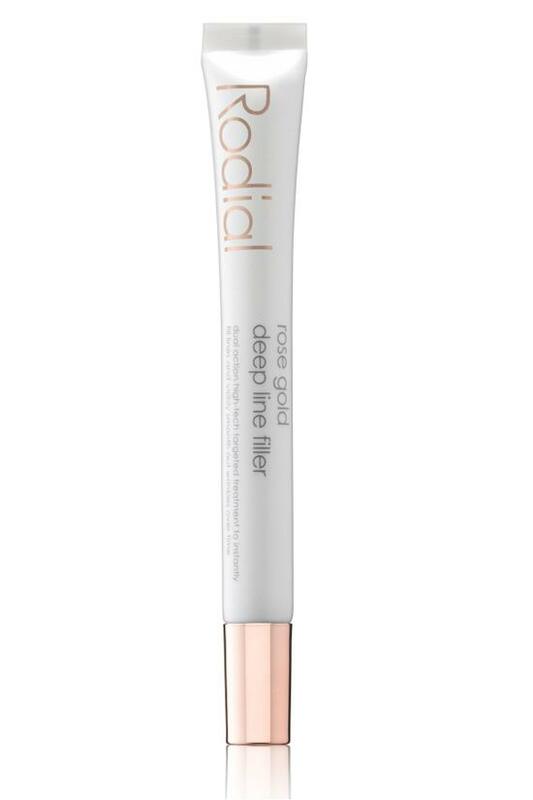 With continued use, regenerative bioactive extract with next-gen 24-carat gold tech that fills deep lines and smoothes your complexion. Apply daily, gently tap a small amount directly into visible expression lines such as crows feet, forehead creases, smile lines and vertical lip lines. Dimethicone, Cyclopentasiloxane, Polysilicone-11, HDI/trimethylol Hexyllactone Crosspolymer, Lauroyl Lysine, Isopropyl Palmitate, Glycerin, Aqua (Water), Helianthus Annuus (Sunflower) Seed Oil, Silica, Lecithin, Parfum (Fragrance), Rosa Alba Leaf Cell Extract, Swertia Chirata Extract, Limonene, Alpha-isomethyl Ionone, Citronellol, Xanthan Gum, Phenoxyethanol, Dextran, Hydrolyzed Wheat Protein, Trifluoroacetyl Tripeptide-2, Gold, Acetyl Heptapeptide-9, Colloidal Gold.